Vietnam is expected to replace the 5-in-1 Quinvaxem vaccine with the new ComBE Five in June as the former will no longer be produced. The Ministry of Health announced during a press conference on Monday that the made-in-Korea Quinvaxem vaccine will not be used in Vietnam’s National Expanded Vaccination Project in June and be replaced by ComBE Five, produced by India’s Biological E Limited. Both vaccines are meant to prevent five common and potentially fatal childhood diseases, including diphtheria, tetanus, pertussis (whooping cough), hepatitis B, and Haemophilus influenza type b. About 41 million doses of Quinvaxem have been used in Vietnam since 2010. In December 2016, Berna Biotech announced it would cease the production of the pentavalent vaccine. The Ministry of Health, UNICEF, and sponsors had discussed and decided that the ComBE Five would become the country’s new 5-in-1 vaccine. Approximately 300 million doses of ComBE Five have been supplied to 43 countries, and Vietnam is expected to receive five million shots on a yearly basis. According to Tran Nhu Duong, deputy head of the National Institute of Hygiene and Epidemiology, the Indian-made vaccine was evaluated by the World Health Organization in 2012. It was piloted in Binh Luc, Kim Bang, Thanh Liem, and Ly Nhan Districts in the northern province of Ha Nam in 2016, Duong continued, adding that no serious reaction or complication occurred. Another trial will be carried out in four provinces in May. Many parents are questioning the safety of the new vaccine as it has several components similar to the Quinvaxem, which raised concern over the high probability of serious complications. Statistics of the National Expanded Vaccination Project revealed that the Quinvaxem vaccine resulted in severe complications in 27 cases across 19 provinces and cities in 2017. N.T.A., a 33-year-old mother in Go Vap District, Ho Chi Minh City, stated she would need to be well informed of ComBE Five before using it on her child. Sharing the same opinion, 28-year-old D.N.T. in Phu Nhuan District said she has yet to decide whether to vaccinate her kid with the new vaccine. However, local doctors and health experts assured that the ComBE Five meets all safety standards and is effective in creating immunity against the diseases. They also warned of a potential epidemic if parents do not vaccinate their children against the dangerous diseases. 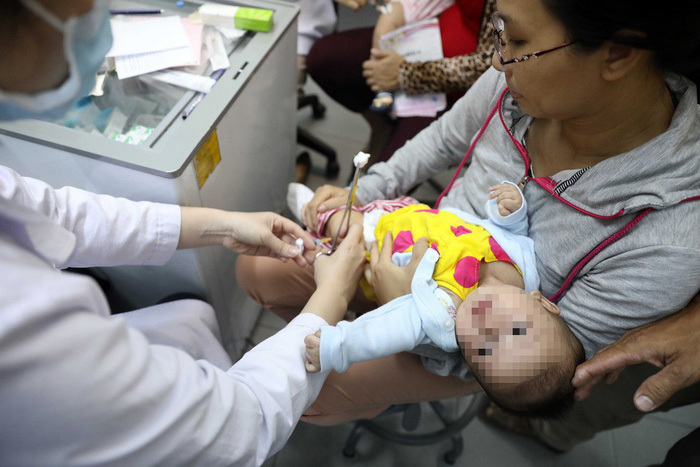 To minimize risks, children should undergo a comprehensive health check-up before their vaccination, said Tran Minh Dien, deputy director of the Vietnam National Children’s Hospital. Depending on the health conditions and medical records of the young patients, doctors will decide whether it is safe to give them the vaccination, Dien added.